No doubt you’ve heard a lot about overcrowded classrooms. It’s not just a Las Vegas problem — nor is it just a Nevada problem. It’s a universal problem. Indeed, it can become a horrific problem when a teacher is forced to deal with a classroom of 40 to 45 students. Even more disconcerting is that due to those conditions, “there are kids who just get passed on from grade level to grade level. And that means kids who have learning disabilities are falling through the cracks,” stated Shelley Kalb, a certified learning specialist who lives in Summerlin. She explained that two years ago she left the classroom, the principal’s office and school administration after 25 years of serving in those capacities, “to go back to work in behalf of individual kids. It was a time for me to step back and decide what I could do in the best interest of children. “Not all kids,” she emphasized. “Just those who have been diagnosed with learning disabilities. And there are many children here in Las Vegas who have been diagnosed with learning disabilities. She mentioned other learning disorders that are due to sensory processing issues and language-based disabilities. “There are kids who can function well but whose needs may be on the autistic spectrum,” she said. She said that her areas of child-learning expertise are in math, writing, grammar, vocabulary, study skills, reading and comprehension. “Most importantly, I communicate the program that I design for a child with that child’s teacher. I want to be a partner in helping the child, together with their teacher and parents,” Kalb emphasized. 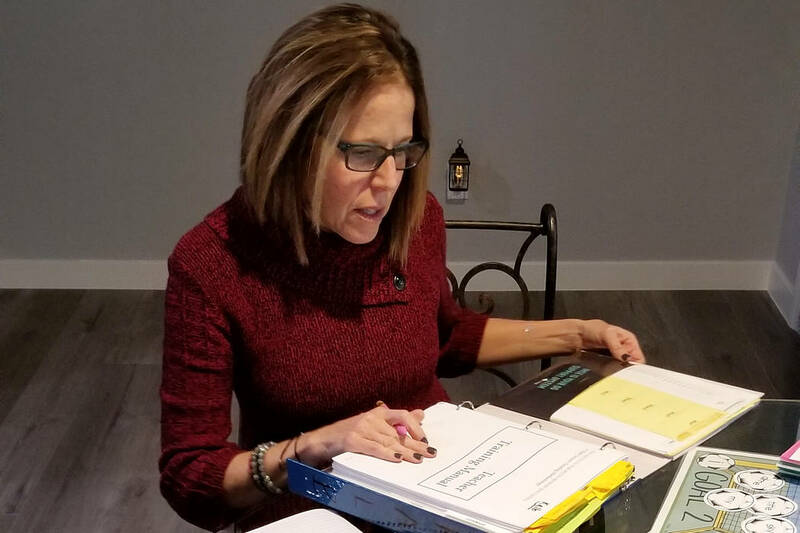 Kalb, who can be reached by calling Geared To Learn at 702-715-3030, received her master’s degree in literacy education from Loyola University of Baltimore in 2004 after spending more than a dozen years as a classroom teacher. She said her training includes the principles of a nationally accredited program known as the Orton-Gillingham Approach. “When studying for my master’s, Orton-Gillingham was part of the program. After I received my degree I did an additional 60 hours of training in the program,” she added. Orton-Gillingham was devised more than 70 years ago by a neuro-psychiatrist and an educator-psychologist. Herb Jaffe was an op-ed columnist and investigative reporter for most of his 39 years at the Star-Ledger of Newark, New Jersey. Contact him at hjaffe@cox.net.